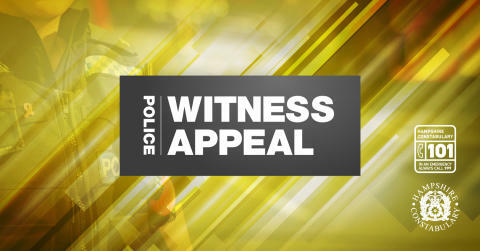 Did you witness a robbery in Basingstoke on Tuesday 19 February? Could you help us find the people responsible? At around 7pm, a 29-year-old man was approached by two young women asking to borrow money in the tunnel linking the front and rear of Basingstoke train station. The victim declined and carried on walking in the direction of the Oakridge estate. He continued into an alleyway running past Gower Close and The Vyne School when he was struck over the head from behind with an unknown object. He was then further assaulted and had his black Samsung mobile phone stolen. A group described as being made up of two women and two men were then seen running from the scene. We would like to hear from anyone who witnessed this incident, or a group of people acting suspiciously in these areas. As part of our enquiries we would like to speak to the two young women, described as being white and aged between 18 and 22 years. One was described as slim, and the other of larger build with black hair and wearing large earrings and a dark jacket. Detective Constable Drew Wright said: “This was a nasty attack on a lone man simply trying to make his way home. “He is extremely luck to not have sustained more serious and lasting injuries. “I appeal to anyone who saw anything, or who may hold any information relating to those responsible, to get in touch with us." If you have any information, please contact us on 101, quoting 44190061023, or call the charity Crimestoppers anonymously on 0800 555 111.